As promised by Rockstar Games, the multiplayer component of Red Dead Redemption 2, called Red Dead Online, will assault gamers this week! Those who purchase the Ultimate edition of the game, the Red Dead Online beta release date for you will be tomorrow, November 26 at 8:30 a.m. ET! Red Dead Online beta access is coming in waves, however, as those who played on November 26 gains access on Wednesday, anyone who played between October 26 and October 29 gets in on Thursday, and every Red Dead Redemption 2 player can get in on the action by Friday. To date, there’s no set time and limit to Red Dead Online, and Rockstar is aiming for beta participants to keep their progress in the game while they’re testing it out. In case you didn’t know, Red Dead Online will be free for everyone who owns Red Dead Redemption 2. “The launch of the Red Dead Online Beta is the first step in what will be a continually expanding and dynamic world, and the beta period will allow us to deal with the inevitable turbulence of launching any online experience of this size and scale. What can players do in Red Dead Online aside from bashing each other’s heads in? They’ll be able to hunt, fish, go treasure hunting, and basically do everything they were doing in the single-player story mission. Well, minus the story, anyway, though it’s said to feature some sort of narrative to tie the experience together. 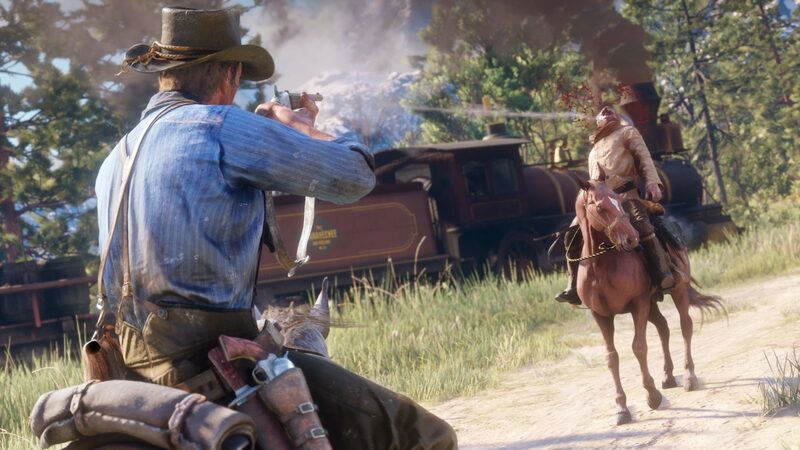 Rockstar mentions that they will have more info to share starting tomorrow, and you can bet your sweet saddle that MP1st will be here to cover ’em all.